In 2016, Cameco's McArthur River mine was awarded the Canadian Institute of Mining, Metallurgy and Petroleum's prestigious John T. Ryan National Safety Trophy for the third consecutive year. In 2015, McArthur employees and contractors worked 1.86 million hours without a lost-time injury. 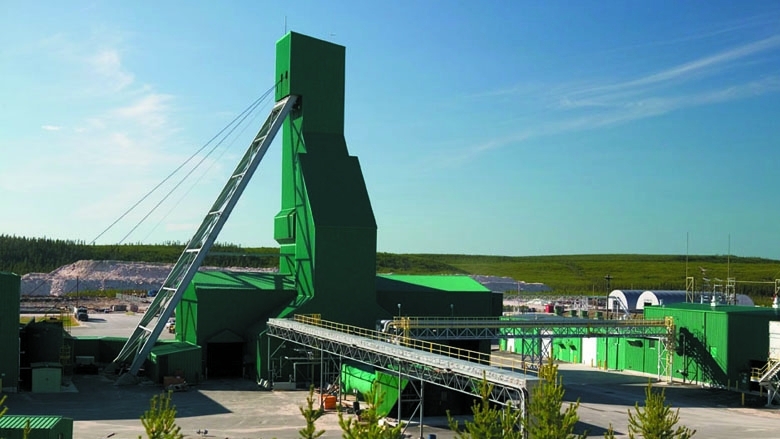 The McArthur River mine and the Key Lake mill are among Canada's safest mining operations. Each operation has a systematic program to identify, evaluate and mitigate risks and engage all workers and managers in development of a strong safety culture. These programs follow the international OHSAS 18001 model and have delivered excellent safety performance. Radiation risks are effectively managed at McArthur River and Key Lake. Each operation has a formal radiation protection program and dedicated personnel who ensure that doses to workers are as low as reasonably achievable. The programs require that radiation protection is considered in the physical design of all facilities and operating procedures. They also provide for systematic monitoring of radiation in work areas and track exposures of individual workers using a combination of monitoring devices and health testing. Radiation exposures at McArthur River and Key Lake are far below below the regulated limits. Environmental protection at the McArthur River and Key Lake operations is assured through ISO 14001-certified environmental management systems. These programs systematically identify, control and monitor environmental aspects associated with the facilities. Comprehensive monitoring programs are in place at the McArthur River and Key Lake operations to help ensure that the surrounding environment is protected. Samples of water, air, soil, plants and fish are collected from numerous locations around the sites and tested to confirm that environmental protection systems are effective. Monitoring results are submitted to federal and provincial regulatory authorities for review. Cameco also supports independent regional monitoring downstream of its Saskatchewan operations to ensure there are no cumulative effects on the regional watershed. The extensive monitoring undertaken at McArthur River and Key Lake has identified no significant impact on the surrounding environment. Ambient Air Quality – Annual Average Ambient Sulfur Dioxide (SO₂) NOTE - Regulations replaced and standard revised on June 1, 2015; however for consistency, the old value is referenced for the 2015 reporting year. Reporting against the new value began in Q1 2016. Details Approximately 3,200 cubic metres of treated water was released from two liner tears in monitoring pond #4 between the dates of March 18 to March 29, 2019. Lab analysis shows the treated water was of good quality and met regulatory limits for release. The pond was taken offline and drained. It will remain offline until an inspection and repairs can be completed. The cause is being investigated. Provincial and federal regulators were notified. At 9:30 am a liquid propane distribution hose at the Acid Plant Propane Tank Farm was visually inspected and found to be leaking. Release volume is considered negligible as consumption of propane remained consistent with routine operation during the period. It is expected that the line deteriorated over time. Repairs were completed by the site plumber. Provincial and federal regulators have been notified. During an attempt to reset power to the underground, two employees reported smoke on the 640 level of the mine. The area was evacuated and the emergency response team (ERT) responded in accordance with emergency procedures. The ERT investigated, confirmed that there was no active fire and identified the source of the smoke as being two damaged electrical cables that feed the 640 level substation. Electricians isolated damaged electrical lines and restored power to the underground. Federal and provincial regulators were notified. An investigation to determine the cause of the damaged cables is ongoing. Approximately 800 cubic metres of treated water was released from a possible liner tear in pond 3 from January 29 to February 2, 2019. Lab analysis shows the treated water was of good quality and met regulatory limits for release. The pond was taken offline and drained. It will remain offline until an inspection and repairs can be completed. It is expected that surface ice and changing water levels caused the tear. Provincial and federal regulators were notified. A liquid propane leak at the propane vapourizer building was observed by employees, and following monitoring by the safety officer, the plumber initiated work to repair the valve. The supply line was isolated and underground work was not started while the heating was inoperable. It is expected that the incident was caused by a rapid change in extreme temperatures. Repairs were completed by the site plumber. Provincial and federal regulators have been notified. On November 20th, an employee identified that required paperwork for extending the use of hoist ropes had not been submitted to the Ministry of Labour Relations and Workplace Safety. The necessary inspections had been completed but were not submitted on time for recertification. The applicable equipment has been taken out of service until approval from the Ministry is received. The oversight is under investigation. Provincial and federal regulators were notified. Inspection of recent liner repairs in the storage ponds that are part of the water treatment system at the McArthur River operation led to the discovery of water leakage. Approximately 1,200 cubic metres of treated water was released from this pond. The storage pond was taken out of service, drained and repairs initiated. Provincial and federal regulators were notified. A refrigeration mechanic entered the Module 1 freeze plant at about 2:15 p.m. and noticed the smell of ammonia. The mechanic identified that a small amount of ammonia had leaked from a cracked sight glass on a vessel. None of the ammonia detectors in the plant were in alarm. The vessel has been taken out of service pending repair, and the cause is being investigated. Provincial and federal regulators were notified. Inspection of the storage ponds that are part of the water treatment system at the McArthur River operation led to the discovery that approximately 8,000 cubic metres of treated water had been discharged from these ponds. The storage ponds were taken out of service, drained and repairs initiated. Provincial and federal regulators were notified. A fitting failure on the hot water heating system caused the release of approximately 600 litres of an ethylene glycol and water mixture into the basement floor of the main camp. The release was contained within the foundation of the building. The cause of the incident and cleanup options are being investigated. Provincial and federal regulators have been notified. The sprinkler system water pumps in the batch plant began to operate at approximately 1:00 a.m., triggering activation of the emergency response team (ERT). The ERT responded in accordance with emergency procedures and verified that there was no fire or smoke. The incident is being investigated and provincial and federal regulators have been notified. At approximately 12:25 a.m., smoke was reported at a surface facility at the McArthur River mine. McArthur River’s emergency response team (ERT) responded, secured the area and ventilated the facility. Electrical service has been restored. We are investigating the cause of the outage, as well as a similar incident on March 10th. Provincial and federal regulators have been notified. At approximately 6:20 p.m., smoke was reported at a surface facility at the McArthur River mine. McArthur River’s emergency response team (ERT) responded, secured the area and ventilated the facility. Early investigation determined that the smoke resulted from an electrical equipment malfunction. Electrical service has been restored and the cause of the outage is being investigated. Provincial and federal regulators have been notified. The McArthur River operation has identified a discrepancy between test results on samples of treated water from its own lab and results from other labs. Test results from other labs show that an action level for radium in effluent was exceeded during February. Cameco is investigating to determine the cause of the discrepancy. Until the issue is resolved, testing for radium in effluent will be done at the Key Lake lab. Test results for all other contaminants in effluent are being reviewed, as are lab procedures at McArthur River. The CNSC and Saskatchewan Ministry of Environment have been notified. A refrigeration mechanic entered the main freeze plant at about 3:00 p.m. and noticed the smell of ammonia. The mechanic identified that a small amount of ammonia had leaked from a worn shaft seal coupling. There was no effect on the environment or the health and safety of personnel. None of the ammonia detectors in the plant displayed elevated concentrations of ammonia. The compressor was shut down and the seal replaced in accordance with standard practice. At about 4:00 p.m. personnel reported the smell of ammonia in a freeze plant. Following up the report, refrigeration mechanics identified two small leaks on pipe fittings. There was no effect on the environment or the health and safety of personnel. Monitoring showed ammonia levels in the plant remained at safe levels well below regulatory limits. One of the sources was repaired immediately. The second required equipment be taken out of service pending repair. A worker suffered an injury to his hand while installing piping underground at the McArthur River mine. The worker received first aid treatment at the clinic at site. The piping work was halted and the equipment involved was taken out of service pending completion of an investigation. A minor leak was discovered on an ammonia storage tank by the solvent extraction facility at approximately 3:00 pm. The area was isolated and maintenance staff notified. It is expected that a valve on the tank has deteriorated as it was due to be replaced in 2019. Provincial and federal regulators were notified. During a review of groundwater monitoring data it was noted that a sampling well adjacent to the mill building was showing an increasing trend in uranium concentration. Following further sampling, early indications show that a nearby sump area within the mill has released an estimated 50 m3 of water over the course of the year. Further investigation is underway and the area will be pumped dry and inspected. Provincial and federal regulators have been notified. An employee noticed the smell of propane at 10:40 am on November 22nd and the source was determined to be the reverse osmosis propane tank. Tank levels did not indicate any change, so it is expected that the release volume was very small. Corrective Action: Repairs were completed by the site plumber. Provincial and federal regulators have been notified. Repairs were completed by the site plumber. Provincial and federal regulators have been notified. At 8:00 a.m., automated monitoring in the reverse osmosis facility at the Key Lake Operation measured high pH readings. In accordance with the facility’s design, the flow of treated water was redirected. Approximately 10 cubic metres of water that was above the high pH regulatory limit was released from the reverse osmosis facility into Horsefly Lake. Treated water from the reverse osmosis facility was redirected until the pH was back to normal operating range. The incident is being investigated to prevent recurrence. Provincial and federal regulators were notified. The Key Lake permanent camp fire alarm system was activated at approximately 6:00 a.m.. The emergency response team (ERT) responded in accordance with emergency procedures and verified that it was a false alarm. The cause of the false alarm is under investigation and the CNSC was notified. A clean-air supply ventilation duct in the Key Lake mill separated at one location causing a section of duct to drop and rest on pipes below. The area was restricted and the incident is being investigated. Provincial and federal regulators were notified. Approximately 170 kg of C02 was released from a tank in the solvent extraction valve room. The area has been secured and ventilated and the tank will be inspected and tested before being put back in service. The cause of the release is being investigated. Provincial and federal regulators have been notified. A small amount of ammonia was released from valves on the No. 1 ammonia storage tank vapour line, located outside the Key Lake mill facility. The area was isolated and repairs have been completed. Provincial and federal regulators have been notified. A small amount of ammonia was released from valves on the No. 2 ammonia storage tank vapour line, located outside the Key Lake mill facility. The smell of ammonia was detected in the tank farm area near the mill during a routine inspection. Follow-up investigation identified a release of ammonia vapour from a valve. The area was secured and the leaking valve was isolated and then repaired. An investigation is under way to determine the cause of the leak. A small propane explosion occurred within a sulphur furnace in the acid plant at the Key Lake mill during initial start-up procedures. Key Lake’s emergency response team was activated. No one was injured in the incident. An investigation is underway to determine the cause of the incident. Appropriate federal and provincial regulators were notified. A tractor-trailer unit carrying drummed uranium concentrate entered the ditch on Highway 914 south of the Key Lake mill in northern Saskatchewan. No one was injured. The tractor and trailer remained upright and the load was intact. The tractor and trailer were removed from the ditch and returned to Key Lake for assessment to ensure the load was secure before continuing the shipment. The incident was reported to regulatory authorities and the cause is under investigation. A small amount of mineralized waste rock was released to a site road and to a parking area on the Key Lake mill site from the bucket of a front-end loader. The loader was secured to prevent further release and the mineralized waste rock was collected from the road and parking area and transported back to the ore stockpile. After the material was cleaned up, scans of the two areas confirmed the cleanup was effective. Manhole overflowed releasing approximately 15 m3 of untreated water. Sand surrounding the area was removed and actions to repair and test the line were initiated. Detailed plans and financial guarantees are in place to provide for decommissioning of the McArthur River and Key Lake sites when operations end. Decommissioning will include removal of all buildings and equipment and landscaping and re-vegetation of disturbed areas. All underground workings and other mine and mill facilities will be sealed off and secured. A monitoring program will be in place to ensure the sites remain in a secure and stable state for the long-term. All new mining developments and significant changes to existing operations may be subject to environmental assessments to identify potential effects on the environment. An environmental assessment of plans to increase the annual production and tailings capacity of the Key Lake was concluded and approved in mid-2014. Additional information is available from our Northern Saskatchewan website. Tailings, or what remains of the ore after the uranium has been removed at the Key Lake mill, is placed in the Deilmann tailings management facility. Commissioned in 1996, the facility is built into the mined out Deilmann pit and is designed to safely contain the tailings during continuing operations and after decommissioning. Tailings are placed in the pit under a water cover. During operations, groundwater is collected from a series of wells around the facility and is treated prior to release to the environment. When operations cease, the tailings will become a solid dense mass and groundwater will flow around the tailings, rather than through them, to minimize environmental impact. Prior to 1996, tailings from the Key Lake mill were deposited in a surface tailings management facility approximately 600 metres by 600 metres and 15 metres deep. The facility was constructed five metres above the groundwater table and used a modified bentonite liner to isolate the tailings from the surrounding soil. The primary regulator for the McArthur River and Key Lake operations is the Canadian Nuclear Safety Commission (CNSC). These operations are also subject to regulatory oversight from several other federal and provincial agencies including Saskatchewan Ministry of Environment. Federal and provincial regulators conduct regular site inspections and audits to verify that people and the environment are protected. Uranium mining and milling operations in Canada are licensed by the CNSC.